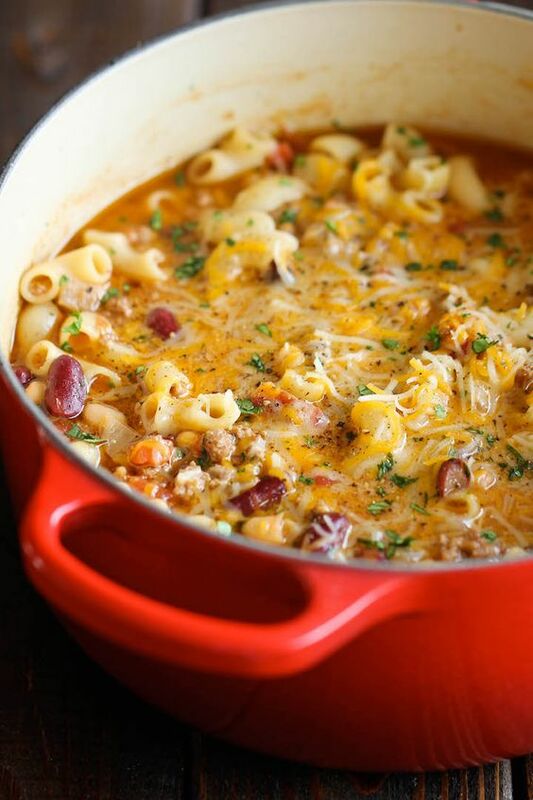 Two favorite comfort foods come together in this easy, 30 min one-pot meal that the whole family will love! Heat olive oil in a large skillet or Dutch oven over medium high heat. Add garlic, onion and ground beef, and cook until browned, about 3-5 minutes, making sure to crumble the beef as it cooks; drain excess fat.